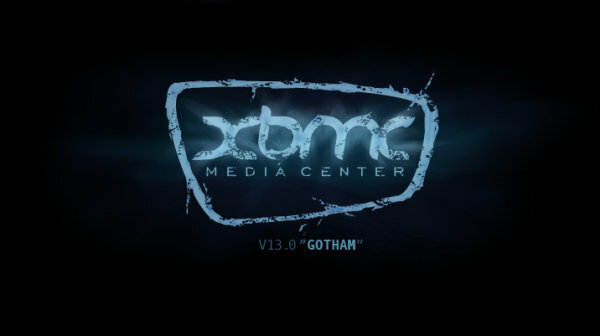 After month of development, alpha releases, beta releases, RC releases, XBMC 13 “Gotham” is finally out. This is the first official release that supports hardware video decoding for ARM and x86 based Android 4.0+ devices. Support is not available for 100% of devices, as for instance, AllWinner A1X/A20 and Amlogic SoCs do not support the standard Android StrageFright or MediaCodec APIs, but most others should. There’s one XBMC Android version for ARM, one for x86. Raspberry Pi and Android speed improvements – Overall system performance improvements, but optimizations are said to be particularly noticeable when opening and browsing libraries, loading images and starting videos. Stereoscopic 3D Rendering – SBS, TAB, anaglyph, and interlaced are supported. XBMC cannot yet support 3D blurays and cannot provide hardware acceleration for FullSBS/TAB movies. Improved Touchscreen Support – You can now use gesture controls during video playback and navigation. Improved UPnP capabilities – Instances of XBMC throughout the house can now “speak” with each other and with other UPnP devices. Settings level: Beginner, Standard, and Expert. Each setting page now includes a Reset to Default option. Reset to Default is independent between sections. For instance, resetting your audio settings won’t affect your video settings. Better Subtitle Search – The user will need to select and download their preferred subtitle add-on before starting a movie and searching for subtitles. There are currently 19 to choose from. There are also various other changes that you can check in the Changelog. Windows XP support has been dropped due to changes in XBMC build, but your can still use OpenElec, or XBMCUbuntu. If you want to upgrade or give it a try, you can find the binaries for Android-ARM, Android-x86, Raspberry Pi, Linux, Windows, OSX, Apple TV, iOS, and XBMCbuntu on XBMC Download page. I would also assume XBMC for Android will soon find it way on Google Play Store now that an official version is available (TBC). After upgrade from Frodo or Alpha/Beta versions, the developers recommend to force refresh XBMC.org repository. For developers who want to check out the source code and/or contribute to XBMC 14 “Helix” can get all they need on XBMC’s github repository. Thanks to Harley for the tip, who also mentioned a link to a guide to sideload XBMC and other apks to Amazon Fire TV. Darn, outgrowing WinXP might suggest that the latest XBMC may be too much too handle for the lowly original xbox as well..
Time to use an Android RK3288 device instead! @ben WinXP support was dropped because Microsoft have stopped supporting WinXP now and won’t be releasing any more security fixes for it any longer. The official XBMC project at xbmc.org already dropped support for the original Xbox many years ago now, so now you hace to use the XBMC4Xbox fork instead if you want updates for it. I really love how responsive Gotham is compared to Frodo. For me it’s a joy to have the pointer keep up with what I am doing. There is still a little more onscreen jittering going on than care for, but the interface improvement ALONE is enough to make me keep the upgrade. On the down side and not really the fault of xbmc, many of the “Add ons” I used no longer work. I can only assume the “add-on” providers are working on it. I have tried it on several devices, the least impacted was my Android RK3188 device. I saw the biggest improvement under Windows 7 64bit. In the past when I ran xbmc on my laptop I booted into Linux, yes it ran THAT bad on Windows 7. It SEEMED perfect on my Asus MeMo HD7, but I haven’t tested it, just saw that it ran and worked. Some of the jittering I see may be caused by my wireless connection.. I will know more when I get an Ethernet cable hooked up. You will most certainly be able to use XBMC with hardware video decoding on your Amlogic AML8726-MX TV Box. I’ve test XBMC in several Amlogic TV boxes and it just works. However you can’t just go to http://xbmc.org/download to download and install the latest version, you’ll need to get unofficial XBMC apks for Amlogic. Where can we get the unofficial XBMC apks for Amlogic that will enable hardware video decoding? Fact if that Amlogic is the best supported ARM SoC in XBMC, due to Pivos Technologiy sponsoed Team-XBMC developers to port XBMC to Amlogic. It should just be noted that Amlogic is not supported via Anroid’s StrageFright or MediaCodec API likie most other platforms on Android, as instead for Amlogic XBMC uses Amlogic’s own open source libraries and open API for hardware video decoding. Interesting. I thought the official Android apk (available via http://www.xbmc.org/download) could not support Amlogic chipset because it only supported StageFright and MediaCodec API, so you’d have to get third parties apk to make it work. Even geniatech wrote: “Early this year when XBMC annouced their newest ‘Gotham’ beta version, many people were disappointed that it will only support hardware decoding for RK3188 but not Amlogic chipset”. For the AllWinner A1x and A2x you do need to get third-party APKs from the device manufacturer, and the same goes for Freescale i.MX6 SoCs which are not either supported as of yet in upstream XBMC master. Why is there no open source DVB TV tuner PVR backend server that runs native for Android? Soon XBMC will be almost as good as Plex. Remote streaming and sharing libraries, Watched and resume location synced across devices. BubbleUPnP features like saying devices local devices to a remote XBMC would also be nice. Speed improvements, Touchscreen Support, Audio Engine Improvements, Settings Improvements, Better Subtitle Search, An Extended Python and JSON-RPC API for developers, are all plumbing that should be working on all versions of xbmc, they could have fixed this on Frodo. Stereoscopic 3D Rendering is the only new major feature listed. Except for bug fixes, there doesn’t seem to be a big reason to update from Dharma. Yes, I was aware about Pivos’s work on Amlogic, and I’ve tested several Amlogic boxes that could run XBMC just fine in the past, but I was lead to believe the official XBMC release only included StageFright and MediaCodec APIs, and for some reasons (licences?) the work made for Amlogic was not included. But apparently that’s wrong, and thanks for the correction. I’ve updated my blog post.